In the next few months Tesla, the company known for its electric cars and its ambitious CEO Elon Musk, will be coming up with its long-awaited Model X SUV. 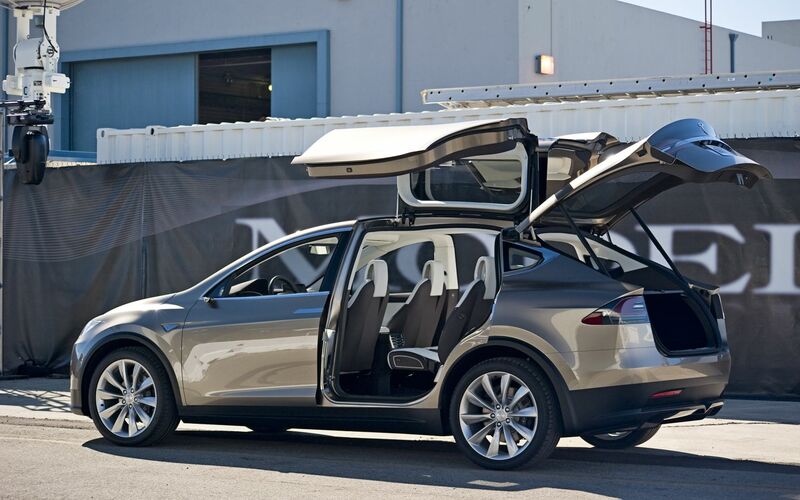 The Model X will debut and it will fulfill customer’s needs for crossovers and SUVs. Lately the Model S has been a best seller for the company, with Tesla selling as many Model S cars as they can. With the company progressing at a good rate, due to the recent hype about electric and hybrid cars, Elon Musk’s vision is to market the products to a wider range of buyers than before. With the new SUV Model X the company will be able to achieve that vision by targeting the right crowd, but also according to Musk ‘women buyers’. According to the Washington Post, Elon Musk said that in the past the Model S is “a little too guy centric.” This is what the company is trying to correct with the new Model X, the estimated cost of the new model will be between $50,000-70,000. The plan seems to be a hit and is working, looking at the statistics more than 50% of the pre-orders of the Model X are from women, looks like the prediction did come true. Looking at the overall statistics women account or 40% out of the total 17 million cars and trucks sold in the US according to the Washington post, and for crossover SUVs like the X that number is around 50% which shows why Tesla was trying to hit this customer base. Model X combines the space and functionality of a seven seat sport utility vehicle with the uncompromised performance of a Tesla. Every Model X comes with all-wheel drive standard, powered by two independent, digitally controlled electric motors. Brilliantly functional Falcon Wing rear doors fold up and out of the way to allow easy access to third row seats. As the description mentions this model has rear doors which fold up, this is a unique feature. The Model X is the gateway into the growing luxury crossover SUVs market which has expanded very fast. All the big names from Rolls-Royce to Lamborghini and even Bentley have realized the need to tap this burgeoning market and are developing new SUVs. But obviously Tesla will offer a little something all the big names don’t and that is it’s all electric products which the company is known for. The post Tesla Is Coming Up With A New ‘Model X SUV’ Aimed At Women Drivers by Ahmed Bilal appeared first on WCCFtech. Next articleHow Do You Know If Your School Is Writing Quality Content?